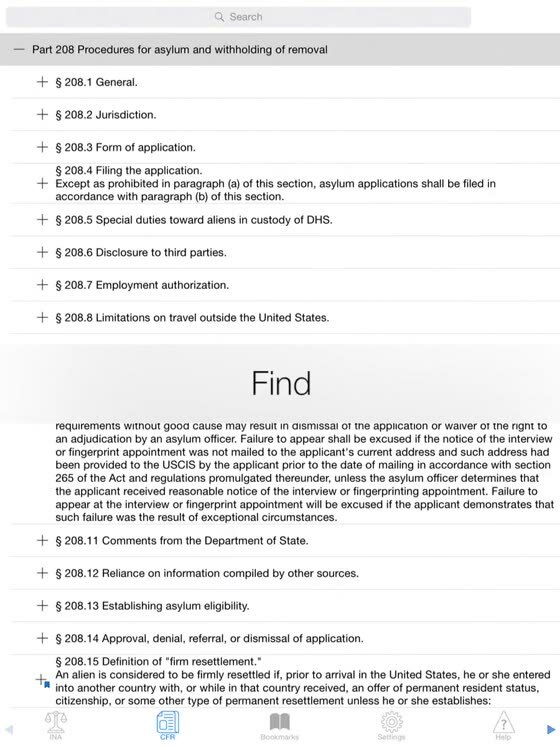 Immigration law: explore it, search it, and bookmark it! 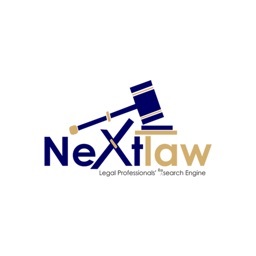 Immigration lawyers and practitioners in the United States frequently consult four sources of law and procedure: the Immigration and Nationality Act (INA), the Eighth Code of Federal Regulations (CFR), the Immigration Court Practice Manual, and the Board of Immigration Appeals Practice Manual. 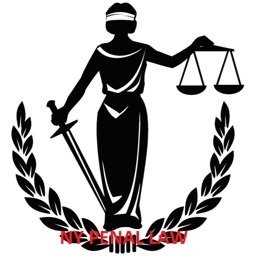 These sources of law and procedure are available in books and on websites. Both have problems. Books are heavy, particularly for lawyers who lug them to court, and they are slow or impossible to search for specific words or phrases, for example "immigrant visa". Many book versions of the CFR deemphasize the hierarchical nature of that Code, making it difficult to find deeply nested subsections such as 8 CFR § 204.1(a)(5)(i). One may "bookmark" important sections of books with adhesive tabs, but adhesive tabs fall out. Book versions of the CFR often use a tiny, difficult-to-read font. 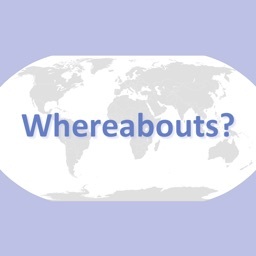 Some websites are easy to search for specific words or phrases, but websites may not allow bookmarking of specific subsections, and websites require Internet connectivity. Books and websites share the problem that they incompletely indicate which INA subsections correspond to which CFR sections, if they contain any indication at all. These correspondences are important. 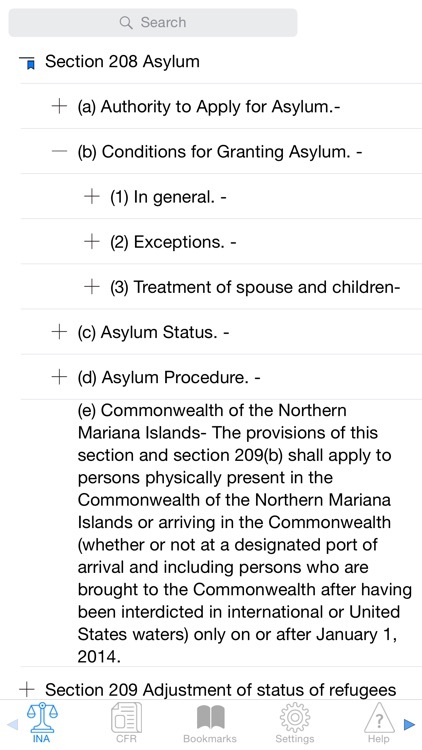 An attorney reading the INA subsection about voluntary departure, for example, would want to see the corresponding subsection of the CFR because both have the force of law. This app, Immigration, addresses the shortcomings of books and websites. 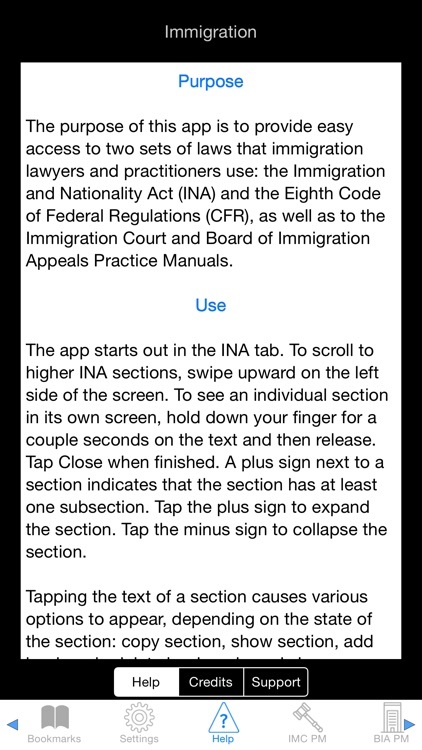 Users can easily navigate to desired subsections of the INA, CFR, and Practice Manuals with a few taps. Users can quickly search for specific words or phrases, seeing each subsection that contains them. 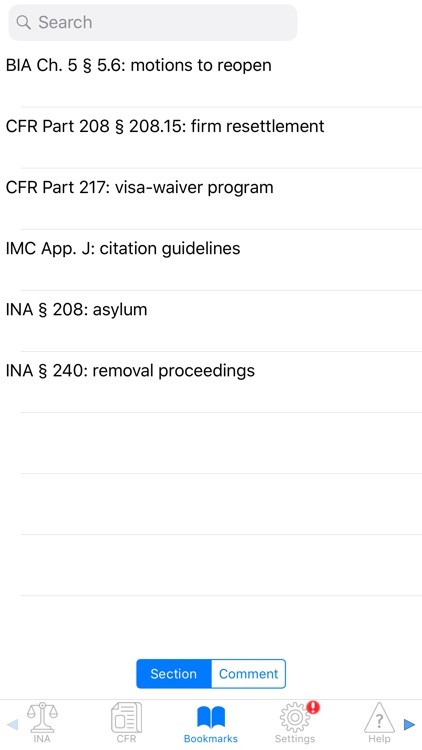 For example, a search for "visa petition" in the CFR immediately reveals 95 subsections containing that phrase. 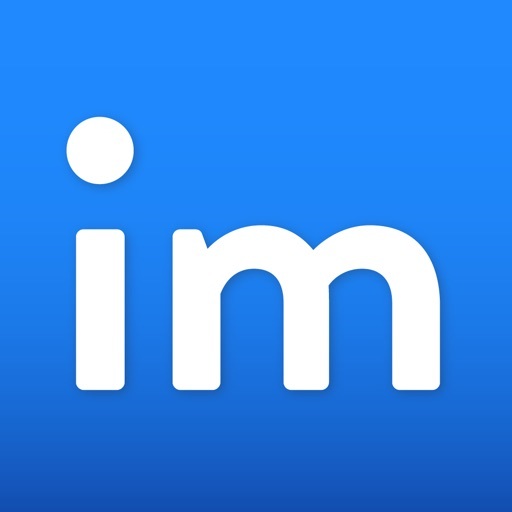 Users can apply named bookmarks to any subsection and easily navigate these bookmarks. 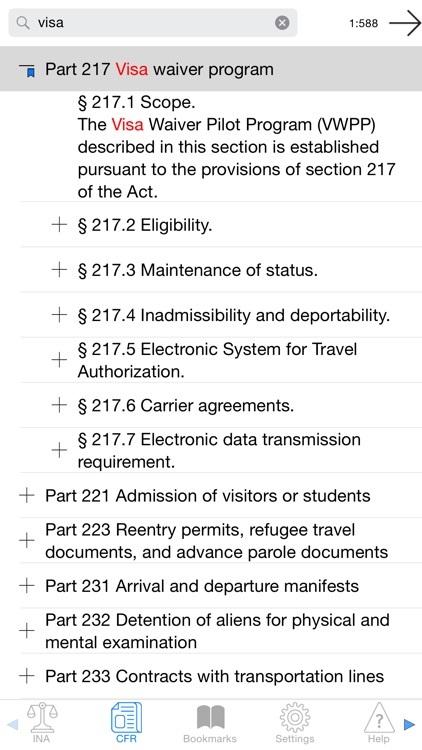 Users can jump between corresponding INA and CFR sections, for example INA § 240B and 8 CFR § 240.25, which both concern voluntary departure. Finally, users can set font size based on their devices' Dynamic Type setting or app-specific preference. You have the option of buying a monthly, auto-renewing subscription, called "Updates", which provides regular updates to the laws and procedures. This subscription is charged at time of confirmation to your iTunes account and then monthly. Your subscription will be charged to your credit card during the 24 hours before the end of the current period through your iTunes account. Your subscription will automatically renew unless canceled at least 24 hours before the end of the current period. This document is also known as the End User License Agreement (EULA) or the Terms of Service.